I discovered It Cosmetics a while back thanks to some products I received from a PR firm. 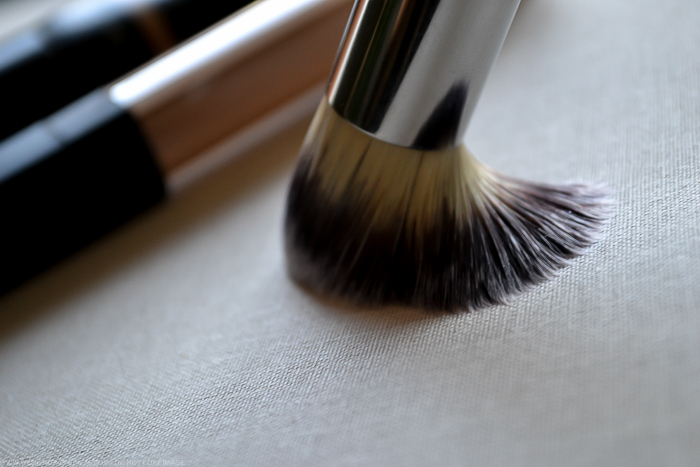 Among all the amazing products that this company makes, their supersoft makeup brushes would be my top picks. Made of cruelty-free, synthetic bristles, these brushes are a must-have, especially if you have sensitive skin. If I had to pick one must-have from the range, It Cosmetics Heavenly Luxe Pointed Precision Complexion Brush #11 would be the one. I received this brush as part of the It Cosmetics 6-Piece Antiaging Collection, and beyond the occasional cream highlighter application, it was pretty much ignored until one day when this was the only clean brush I could find. 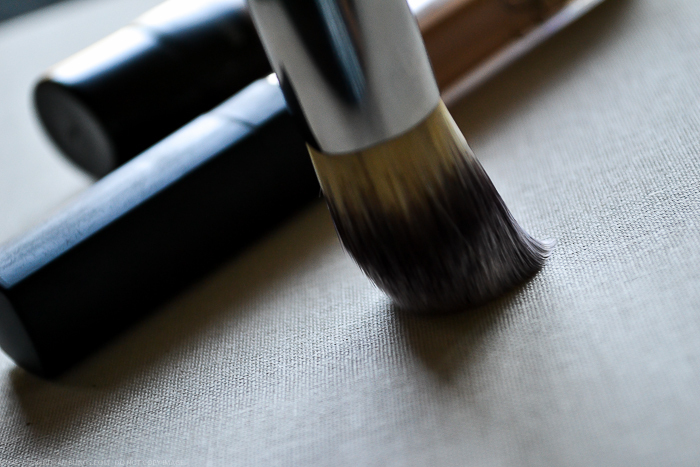 Since then, this has been my go-to concealer brush. 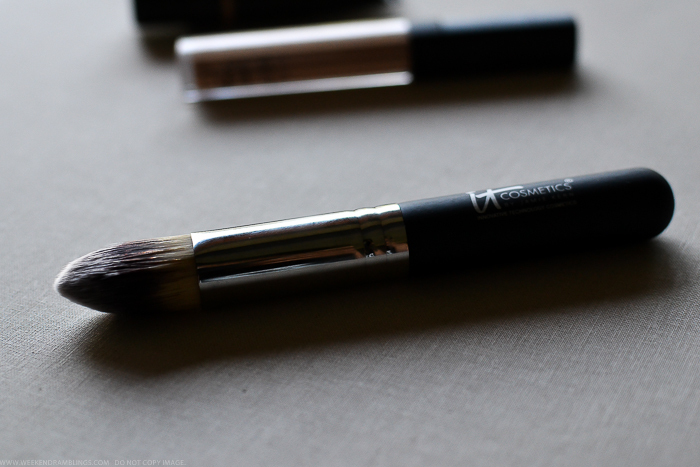 The pointy end might seem a bit big for precise application of concealers, but the brush tapers to a fairly small tip, and I can even use it to conceal blemishes on my face. 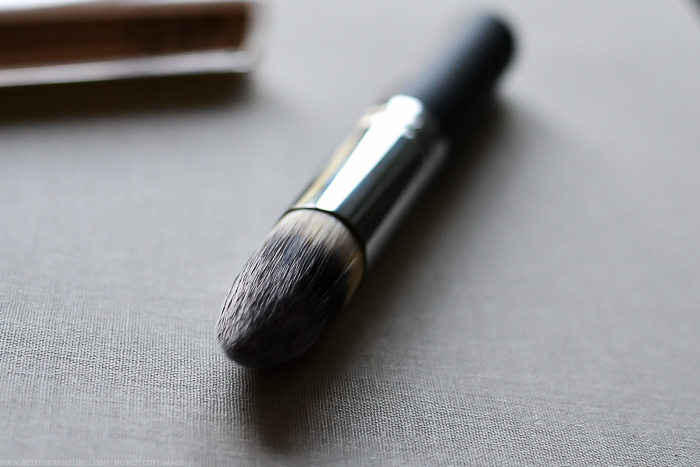 My favorite use for this brush, though, is for applying concealer/corrector to cover up dark circles, and the soft bristles blend product without tugging or pulling on the skin. It's also great for applying foundation or concealer to difficult to reach areas like along sides of the nose. 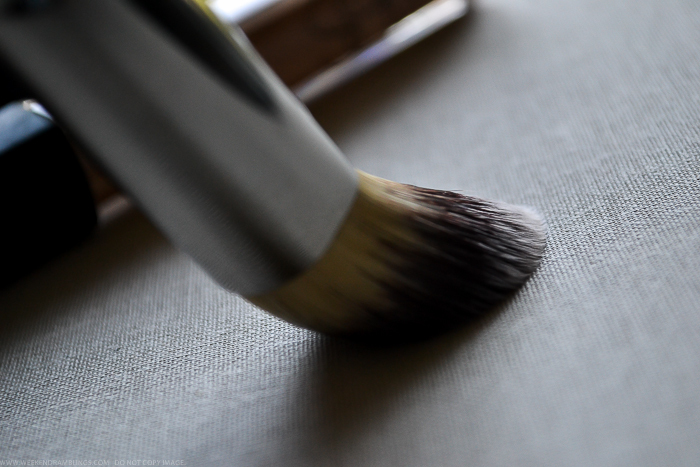 Overall, the It Cosmetics Heavenly Luxe Pointed Precision Complexion Brush is a great multitasking brush that can be used to apply cream as well as powder products. The soft synthetic fibers also make this a good pick for those with sensitive skin. Bonus: These brushes are beautifully designed with sturdy rubberized matte black handles, and all my It Cosmetics brushes still look and feel as good as new even after multiple uses/washes/drops to the floor. It Cosmetics Heavenly Luxe Pointed Precision Complexion Brush was provided for review by PR/brand. Links provided in the post are for information only and are NOT affiliate links.